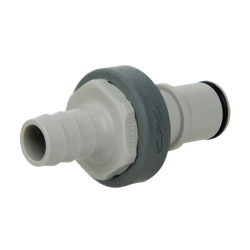 DrumQuik® UDA | U.S. 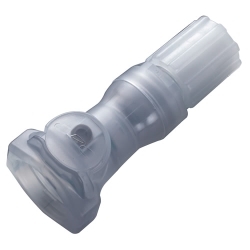 Plastic Corp.
DrumQuik® 3-Port Universal Dispensing Adaptor (UDA) is an easy-to-use product for extracting liquids and chemicals from rigid containers in end-use applications.The reusable dip-tube can easily be moved from one container to the next without messy drips or spills and is more cost-effective than stainless steel stingers. 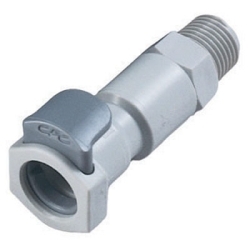 The 3-Port UDA features a 3/4" male NPT thread that mates with common containers, bung plugs and caps. 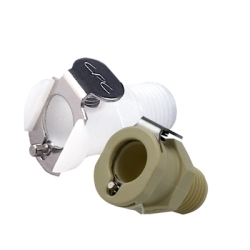 The adaptor ports enable simultaneous chemical extraction, venting and application of blanket gas or air. 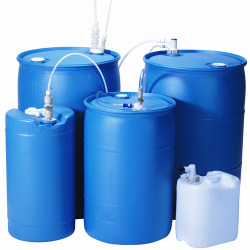 In addition, the third port can be used to recirculate priming chemical to the container in metering pump applications. 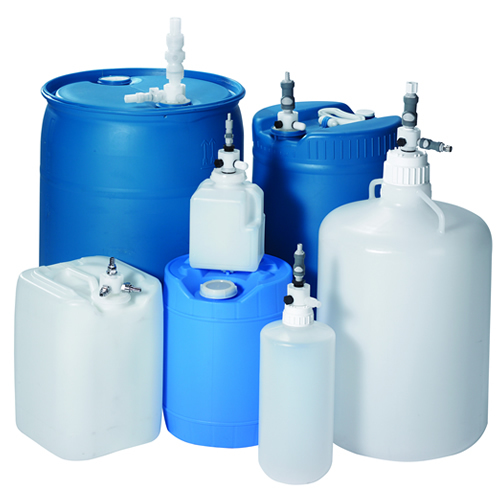 DrumQuik 3-Port UDA facilitates easy, spill-free drum change outs and offers unprecedented flexibility in a closed system for safely dispensing chemicals. 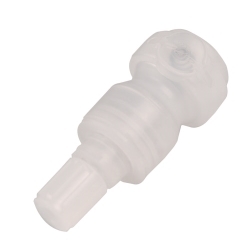 The BottleQuik® is intended for use on reagent bottles with SP400-38mm threads. 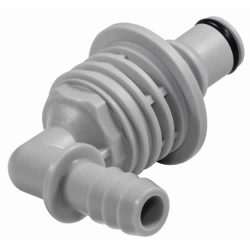 It can be used in either the upright position or inverted and has two 3/8" female NPT ports for liquid and vent ports.